After enduring three years of a foundering economy and feuds with the West, things may be looking up for Russia. 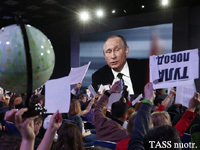 The Brexit vote in June exposed the deep discord in the European Union, giving Moscow a glimmer of hope that dissenting member states might break the bloc's consensus on its sanctions against Russia in a future vote on their renewal. Though EU members decided unanimously in July to extend the measures, upcoming elections on the Continent could undermine the bloc's unity. In the United States, meanwhile, Donald Trump's victory in the presidential election has opened a potential path to warmer relations between the United States and Russia, and perhaps even an end to Washington's sanctions on Moscow. The turning political tides in Brussels and Washington could give the Kremlin the leeway to increase its influence in the former Soviet Union, leading the countries in Russia's periphery to re-evaluate their foreign policy positions. Is it time to imagine a Russia without Putin? No dictator rules forever. A poster that someone ordered to put up in one of Moscow's public transport stations serves as a reminder of this truth to Russians. It features Joseph Stalin and the text: “That one died, this one will die as well”. The poster was put up on the 5th of March, the date being no coincidence as it is the anniversary of Stalin's death. It is no secret who “this one” mentioned in the poster is. It is indubitably the current head of Kremlin. If not Putin, then who? Maybe... Kadyrov? 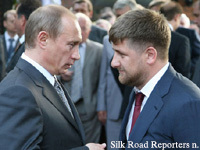 In January the Chechen leader Ramzan Kadyrov who is supported by the Kremlin has again showed what he is up to. He declared that members of Russia’s protest opposition should be treated as traitors of the country; he called them jackals and enemies of the people (the most insulting words for Russians; during Stalin‘s times „enemies of the people" were despised and condemned). According to Ramzan Kadyrov, liberal opposition tries to use Russia‘s economic difficulties in order to destabilise the state and they should be prosecuted for sabotage. 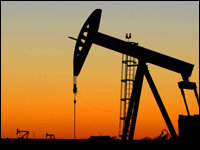 Russia is running out of options to plug a yawning hole in its budget - and steps unthinkable before oil prices began to plunge 20 months ago are now being considered. 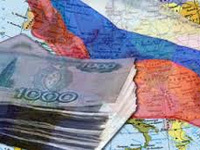 Two senior financial officials told Reuters that authorities were discussing the possibility of calculating rouble rate levels against the dollar that could compensate for some budget losses caused by tumbling oil export revenues by preventing the rouble from strengthening too much. 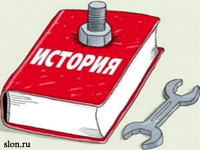 Adequacy does not come to mind often when it comes to contemporary Russian politics. One might suspect that the head of state Vladimir Putin and his closest allies live in a virtual reality, distant in every way from the one we live in. In March of 2014, during a phone call with US President Barack Obama, German Chancellor Angela Merkel already expressed that Putin has lost his ties with reality. It seems that the situation got even worse from that moment. When talking about Russia, it is important to emphasize not only the changes in the political life of the country, but also to name the main societal-level processes. One of such phenomena is the social disparity and its influence on the consciousness of the people. Secrecy has become increasingly apparent phenomenon of Russia‘s political life. This correlates with the trends of a new Russian authoritarian regime which has been promoted by Vladimir Putin and his team for more than a decade. Political decision-making mechanisms are stifled under a mantle of secrecy, the talks about other public related actions or processes initiated by the authorities are circumvented. 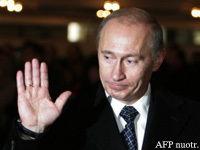 What did Putin’s sudden disappearance mean? Do you agree with experts who speak about the possibility of a coup d'etat? 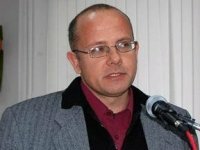 What historical events (including their interpretations) Moscow is most worried about, and what is a common vector of „fight against falsification“? 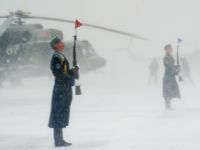 Russia is often called „a country with an unpredictable past“. The Kremlin refers to history as an ideological influence tool, and in this regard the situation is very much alike the one in George Orwell‘s dystopian novel „1984“, where historical past is revised following the changes in the political conjuncture. One can easily discern similar tendencies in the current Russia‘s political realities. Integration of Eurasia: stable or fragile? 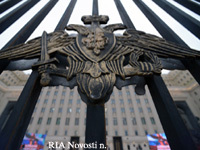 Recently Eurasian integration has become one of the key trends in Russian foreign policy. Russia has initiated the Customs Union (CU) behind which one can discern the outlines of the Eurasian economic union (EEU). But integration processes in Eurasia are not unambiguous. 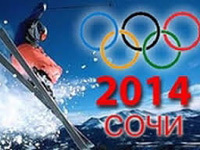 The Winter Olympics in Sochi is approaching fast and one of the major concerns of the Kremlin is to ensure security during the Olympic Games which will be held in close proximity to the North Caucasus region. 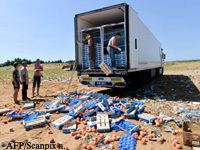 This autumn Lithuania has been twice hit by Russia: the cargoes transported by Lithuanian carriers got stuck at Russian customs posts, whereas the exporters of dairy products have been informed that Russian sanitation services claimed to have found substances dangerous to health in milk, cheese, curd and other Lithuanian-made dairy products. 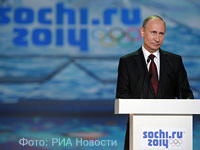 Sochi Olympics Boycott: what's wrong here? Sochi Winter Olympic Games are about to be the most expensive Olympic Games in history but international media explores the pros of boycotting the Olympics. Should the world‘s sports and political arena respond to the new Russia‘s law related to sexual minorities and refuse to participate in the Olympics? The answer is: no. 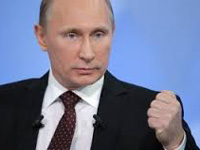 Economic problems in Russia: will the castling help? 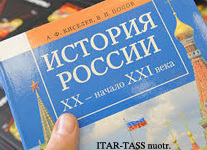 The recent statistical indicators of the Russian economy showed that the country will soon face a new economic crisis. Lately we could observe strange arrangements in dealing with this danger – pushing the influential officials from one to another position.